As we head into the last quarter of this calendar year, the US D&O liability insurance market continues to see stable pricing for mature public companies. But that may change in the coming year. In Woodruff Sawyer’s annual Looking Ahead Guide: D&O Considerations for the Next Calendar Year, experts at Woodruff Sawyer and from top insurers, such as AIG, XL Catlin, Chubb, Lloyd’s, and Tokio Marine HCC, weigh in on everything from pricing and retention trends to hot topics important to directors and officers right now. One of the goals of the Looking Ahead guide is to keep directors, officers, and risk managers informed on issues that corporations are facing today in the area of D&O liability. Inside the guide, you’ll find Woodruff Sawyer’s list of current hot topics. 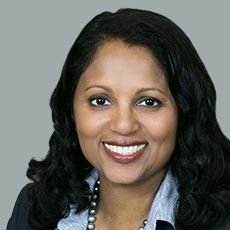 This list of emerging issues and lessons learned can spark conversation at your organization about how you might avoid or—if needed—handle the issues if your company is confronted with them. 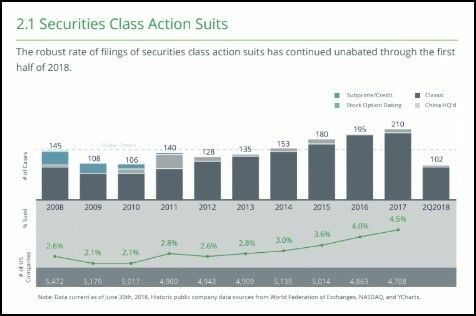 Rising securities class actions: The high frequency rate of securities class action lawsuits will persist—and possibly accelerate—in 2019. The guide discusses some of the reasons we’re seeing this trend. The US Supreme Court’s ruling on Cyan, Inc. v. Beaver County Employees Retirement Fund has added a lot of fuel to this fire. #MeToo: Corporate America is not exempt from the MeToo Movement. We have included some tips for how to be prepared for this movement at your organization. Public Shaming of Bad Actors: The Wells Fargo scandal ended not only in hefty fines and penalties, but also a lot of embarrassment for top executives. If we’ve learned one thing from this, it’s that if directors and officers don’t do their job well, resulting in fraud, they may be judged both harshly and publicly. Another popular part of the guide is “Underwriters Weigh In.” In this section we compile the results of a survey with 29 top D&O insurance carriers about what to expect in the coming year for the D&O insurance market. The questions are interesting; the answers are even more so. Is D&O Risk Going Up? The majority of insurance carriers (96%, up from 88% last year) state that risk is going up. There’s no doubt the abnormally high frequency of securities class action lawsuits is contributing to this view. Will Insurers Quote the Primary Layer for Most Public Companies in 2019? The primary layer of an insurance policy is the one that responds first to a loss. The majority of carriers are predicting they will not quote the primary layer of D&O insurance. Supply and demand continue to be almost a law of physics. With fewer carriers willing to supply the primary layer of insurance, the carriers that are still willing to quote the primary layer of insurance have more market power. Having said that, 92% of insurers said they would quote the excess layer and 100% said they would quote the standalone Side A for most public companies, assuming a stable balance sheet. These figures align exactly with what insurers said last year. What Will D&O Insurance Premiums Look Like in 2019? 80% of carriers expect D&O insurance rates to go up for mature public companies. This is consistent with their view of the current risk environment. Have questions regarding your D&O insurance renewal? Please contact us with any questions or comments: LookingAhead@woodruffsawyer.com.